Travel in comfort experiencing this RAMSAR listed National Park full of many environmental & heritage values. Drive through a unique floodplain forests & Wetlands open pine woodlands to dense Mallee, witness our wonderful wildlife. 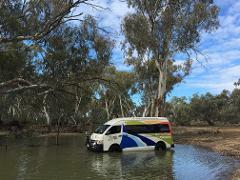 Murray River, History, Heritage & Wildlife Tour - Millewa & Murray River full day tour allows you to enjoy travel back in time learning about the changing landscapes, indigenous history, and early farming settlement. 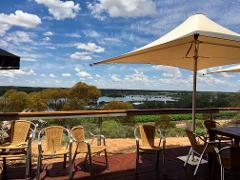 Wetlands and waterways of Mildura and Murray River Tour and or Mildura to Wentworth. Mildura and Murray River Tour Visit Lock 11. Gain an understanding how locks have been used and how they may change in the future. 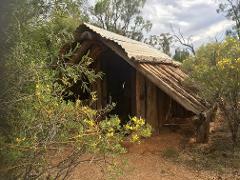 Travel in air conditioned comfort in our offroad bus through red gum and black box woodlands. 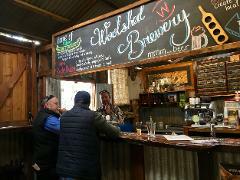 Trentham Estate Winery and Local Wetland Tour,Half Day Tour - Morning or Afternoon Enjoy a shorter Offroad experience exploring Murray River Wetlands. Experience the unique forest and grasslands, sand dunes, wetlands and the wildlife. A bush buffet breakfast with local wildlife overlooking the billabong. Take a stroll through shady woodlands and take in our wonderful wildlife. This day trip combines travelling along remote winding red sandy tracks, wildlife ,old homestead ruins, an amazing boardwalk in wetlands, birdlife, Banrock winery and restaurant. Drive through Murray-Sunset National Park & Hattah State Forest of wide open plains with kangaroos bounding beside you. Explore sand dunes. Appreciate 360 deg views from our fantastic vantage point. Experience the amazing pink salt lakes.